Mayo TD Beverly Flynn has been readmitted to the Fianna Fáil party at this evening's meeting of its National Executive. 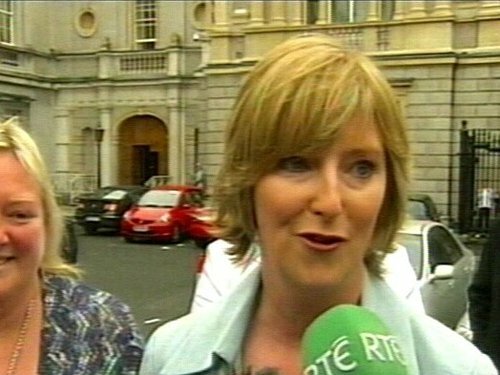 She was expelled from the party following her unsuccessful libel action against RTE. It is understood tonight's vote was unanimous. Her readmission to the Parliamentary Party will be considered on Tuesday evening, but is likely to approved without difficulty. This means she will be able to vote in the leadership election, should there be one, on Wednesday morning. This evening, Ms Flynn told RTÉ News she was ‘over the moon’ to be back in the party. She said she had not given any thought to who she would vote for, although it was looking unlikely that there.